Microsoft has released the data migration utilities for 3.0 that it has been promising. They can be downloaded from Microsoft's download website. 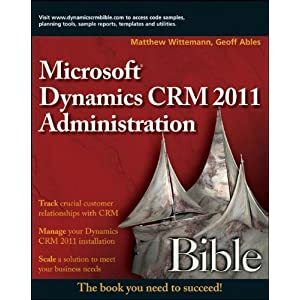 There are two utilities: An enhanced Data Migration Framework that helps move data from any outside source into CRM 3.0 and includes an "explanatory interface," and a new Data Migration Wizard to move data from Outlook Business Contact Manager into CRM 3.0.
me too, nothing actually gets imported. It would be nice of they would give you some kind of help why the data did not get migrated. How do you import data for custom entities? I tried to initialize the staging database and i could not see the tables for the new custom entities I added to crm. I was able to see custom attributes for built-in crm entities though. The readme for the integration kit says that it will not migrate data for custom entities and I've confirmed this with MS support. They suggest creating a custom app that will write data inro the CRM database through the API. They should provide some kind of help "like Demo etc" to use migration tools. I have been trying all week to migrate my data. I have everything I want in the CDF but like you guys I have had no luck getting anything to show up in the CRM database nor any error or reason why it won't. This is so frustrating...I don't really have anything but accounts that I need to import. If you guys have any luck let me know please. Data will not be imported if the "Restricted Access Mode" is checked under the user account you are using during the import. Go into CRM users and select the appropriate user and un-check "Restricted Access Mode". Then try the import again. ps. If anyone has some tips on migrating activities (phone calls, faxes...) I'd love to hear them. I've been trying but can't seem to get the relation to stay. Just thought I'd leave a note as to how I got my migration to work. 2. If your using the (SSIS) Import Wizard to import data directly into the table via SQL Server Management Studio be aware that the import will be using a BULK insert for certain scenarios i.e. a flat file. This Bulk insert will not fire the triggers on the table. A solution is to import into a temp table (using the wizard) then do a slow insert into the desired table i.e. cdf_Account etc..
Hope this helps! I feel your pain.